When you purchase the Unlimited Range Pass at Mallard Creek, we will immediately plug you into our course management system as a range pass holder. When you want to hit range balls, simply show up and bring a valid photo ID with you to the pro shop counter. Present your ID and let the pro shop staff know you are a range pass holder and you are free to take any size bucket out to the range with you. We only ask that you do take just one bucket at a time, although you are welcome to come back in for more as many buckets as you would like. This simply helps us to stay on top of our range ball supply so that no customers ever need to wait. To purchase online, click the button below, add the appropriate number of range passes to your cart and proceed to checkout. Once your purchase is complete, you are all set. All that’s left is unlimited use of our driving range! To purchase in-person, simply stop by our pro shop in the clubhouse and our staff will be happy to help you. To purchase over the phone, give us a ring at (440) 748-8231 and we will get you all set up and ready to go. When you purchase the Unlimited Range Pass at Mallard Creek, you will also have access to our weekly ‘Free Tips From The Pros‘ at no cost! That means that every Wednesday, you can consult with any of our 3 golf teaching professionals and tune-up your swing for free. 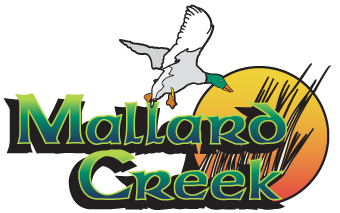 Also, we are open year-round here at Mallard Creek, so when you have the itch to swing the sticks, we are here and available for you from sunup to sundown! To celebrate our 25th anniversary, we sold the first 75 Unlimited Range Passes at a discounted rate. Now, we are selling the next 100 Unlimited Range Passes starting at $99 for current members and $119 for non-members. These won’t last long – get yours today! Unlimited Range Pass Holders are only to use their pass for personal use. Range balls acquired with the range pass are not to be shared with others.